Three whales have died off the coast of East Anglia. 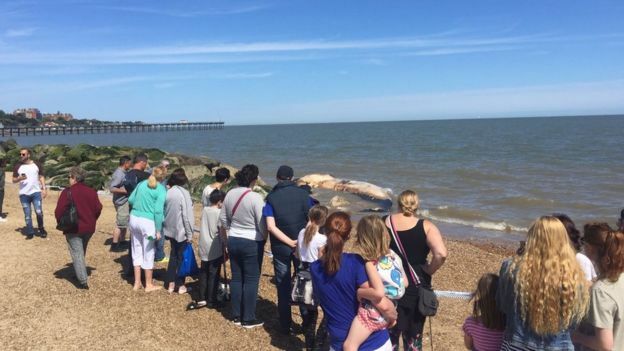 An area south of Felixstowe Pier in Suffolk has been sealed off after a 30ft (9m) female whale washed up on the beach there. The first whale, a minke calf, was spotted on a mudbank in the River Ore, near Felixstowe, on Saturday afternoon. 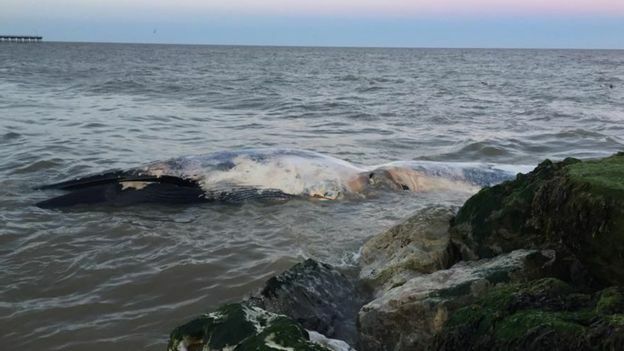 Another dead adult whale was seen in the water off Harwich, Essex. Coastal volunteers believe they could be part of a much wider pod. "This is very sad," he said. "It is such a loss to the ocean life. "They are such amazing mammals." 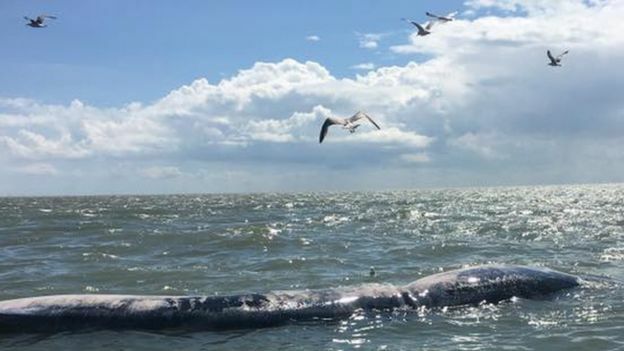 He said council officials were planning to call in a special company to dispose of the whale that washed up on the beach, after plans to tow it up the coast and "let nature take its course" were abandoned over fears the carcass could become a hazard.